Italy international Matteo Darmian has confirmed his ambition to pursue a fresh challenge from Manchester United despite the ongoing injury concern to club-captain Antonio Valencia. Valencia suffered a calf problem within seven minutes of the recent pre-season friendly against San Jose Earthquakes and Darmian has since taken up the duties on the right side of the defence. Despite this, the 28-year-old is pushing for an exit before the transfer deadline and believes Valencia should make the squad ahead of United’s Premier League opener versus Leicester City next month. He said: “I don’t think the injury of Antonio is a big injury. I don’t know how long he needs to stay out, but at the moment he is the captain, he’s first choice. I want to play more regularly. 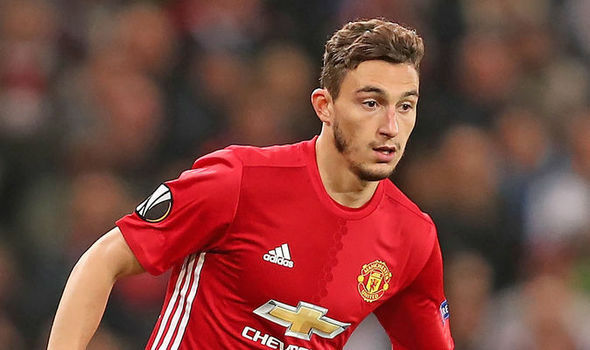 Darmian has been keen on a return to his homeland this summer and this has associated the likes of Juventus, Inter Milan and Napoli with his services over the past month. Nevertheless, none of them have shown any interest in matching €20m asking price and the decision over his future could prolong until the final stages of the international transfer window. Meanwhile, Valencia’s failure to recover from his calf problem may witness Timothy Fosu-Mensah start the league opener, should Darmian have made his way from the club by then. Summer signing Diogo Dalot has yet to recover from a meniscus tear sustained with FC Porto in April and Mourinho has previously confirmed that the Portuguese may only make his debut in September.